We know the neighborhoods we work in and what’s really available there because we’ve already done the research (and it’s no small feat). Each day, thousands of brokers are adding real estate listings across hundreds of websites while failing to manage the ones they’ve already put on the market. These brokers are why you have to take the long way home. Their business practices are the reason you’ll spend more time searching through listings no longer available and less time discovering real opportunities. 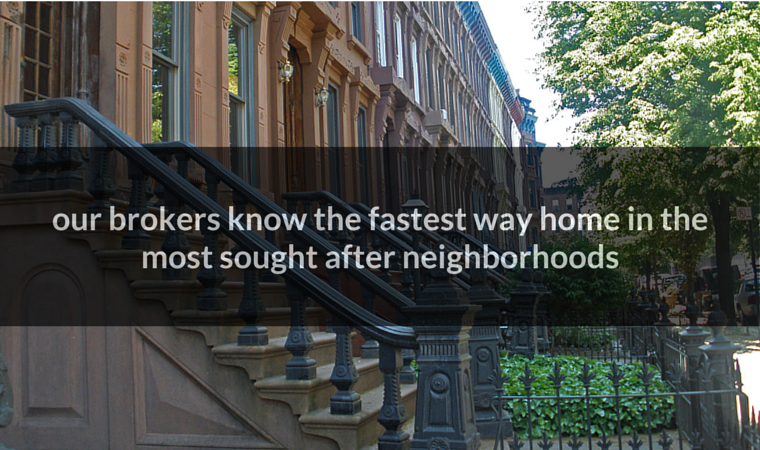 And the more time you spend searching, the more your new place ends up costing. Up to this moment, there wasn’t an option for buyers and renters to deal with this problem. Instead of just getting emails when new listings hit the market, why not get our weekly neighborhood market report. Each week, we identify undervalued opportunities and share the latest real estate activity happening there. Our market reports explain trends, opportunities and reveal if prices are getting firm or flexible for that brownstone, condo, coop or apartment you’re searching for in any of the neighborhoods we work in. By signing up for our weekly neighborhood market report, you’ll get the same information our Agents use to help our clients make informed decisions about the properties and rentals we represent. Just click the button to learn about the advantage you’ll gain over others searching in the same location or continue learning more about our company. What is Corley Realty Group? We’re a real estate brokerage firm that’s owned and operated by people who were raised and (in some cases) still live in the neighborhoods we work in. Our company opened its doors in July 2004. Our founder and Principal Broker is a 15 year veteran of Wall Street’s Options & Futures over-the-counter trading. It was the experience gained there that provided the foundation of our proven Property-to-Market valuation model. We represent owners of residential properties in Brooklyn and Queens in real estate transactions. We list properties for sale and for rent (such as Apartments, Townhouses, Coops, Condos and Mixed Use buildings) to the public with advertising and promotion using our in-house LOOP marketing. LOOP is our in-house marketing process that employs advertising, content marketing and social media to nurture buyers and renters into the benefits available in our clients’ property or rental versus similar opportunities available from other brokers. It deliberately focuses a customer’s attention on our client’s listing so it remains top of mind before, during and well after they’ve seen it. LOOP is the most flexible marketing process that let’s us use tailor how we expose each listing through each of our promotion channels in our platform. What neighborhoods do you currently work in?